Your air conditioning is what keeps you cool on the hottest days. It gives the inside of your car a cool blast and keeps you and your car from overheating. Is it possible to check some of the components of your cooling system, but you should always have a professional do a full air conditioning performance check for you. The experts at LaFontaine Honda are factory trained and certified technicians. They will use state of the art equipment and facilities to ensure your air conditioning is at its peak performance. Why Should I Have an Air Conditioning Performance Check? If your car is low on refrigerant, it can cause damage to your expensive air conditioning parts. This can lead to costly repairs exactly when you do not need them. If you do not routinely have a performance check of your air conditioning, you could run into some common problems. You may have problems such as warm air blowing from your air conditioning instead of cold air. Your air conditioner may not blow any air at all. You may even have a problem with your heat as it may not turn on. You could also have a leaking compressor. You should not settle for anything less than the best for your vehicle. 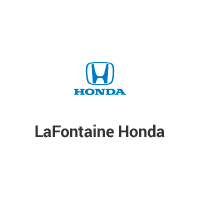 LaFontaine Honda services all makes and models for the cities and communities of Dearborn in Wayne County and Detroit, Taylor, and Westland, Michigan. They provide a multi-point inspection of your vehicle to ensure that it is running as well as possible. They have guaranteed their service pricing and accept all competitors coupons. Not only can you be sure that you are getting the best service, but you will also get the best price. Visit LaFontaine Honda today to get your air conditioning performance check and make sure you are ready for the hottest days.